Step 1 Let the pint of Halo Top thaw on the counter for 5 minutes. Step 2 Line a cookie sheet with parchment paper. Step 3 Use an ice cream scoop to portion golf-ball sized scoops of the Oatmeal Cookie Halo Top onto the cookie sheet. Freeze for 1 hour. 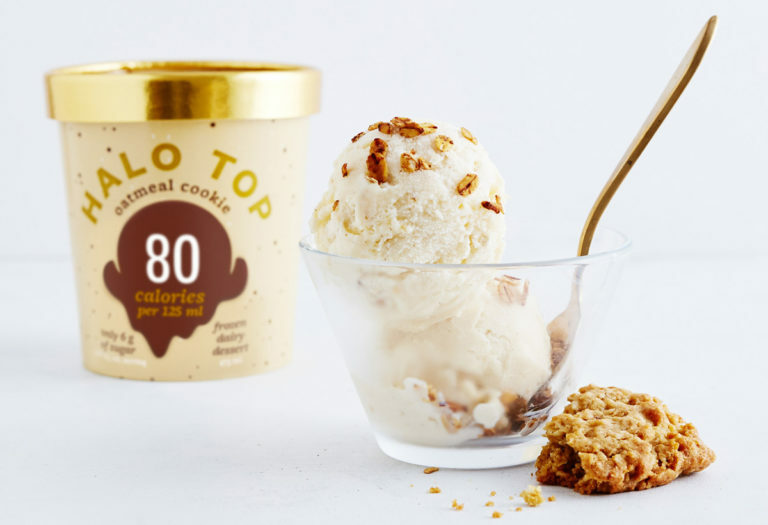 Step 4 In a bowl, add the crushed oatmeal cookies and roll the scoops of Halo Top in the crushed oatmeal cookies to coat. Step 5 Freeze on lined cookie sheet for 1 hour or until firm. Enjoy!